Angina pectoris is a clinical syndrome, which includes various symptoms, among which the most important - redness pain. In some cases, patients only notice discomfort in the chest. But at the same time the disease can be as dangerous as with severe pain. For the first time, angina was described by English physician William Heberden. Accordingly, WHO classification from 1979, angina pectoris can occur in a calm and tense manner. The second form of the disease is less favorable, as it is more often complicated by myocardial infarction. Unstable angina pectoris is a type of acute coronary syndrome that can hold one or more symptoms. At the same time, the level of heart biomarkers detected in the blood does not meet the criteria for determining acute myocardial infarction (MI). According to various data, the greatest risk of angina is 65-74 years (up to 20%), whereas in the 45-54 years the risk is four times less (up to 5%). In the normal state, the heart muscle (myocardium) is supplied by the blood vessels with special arteries, which are called coronary or coronary arteries. They leave the aorta and give blood to the myocardium, whose volume normally increases with physical and emotional stress. This allows you to maintain the activity of the myocardium required for a full-fledged activity. To date, it has been established that the development of angina is directly related to acute violation of coronary circulation. Such a pathology leads to an inadequate supply of oxygen and nutrients to the heart muscle. The result is myocardial ischemia, which contributes to the incorrect flow of oxidative processes. In turn, this leads to the accumulation of various metabolic products in the tissues (phosphorous, pyruvic, carbonic and lactic acids). 120.0 Unstable angina, which includes enlarged angina, the first angst of tension, as well as progressive angina of stress. 120.8 Other forms of angina, which include stress angina, stable angina pectoris, coronary syndrome of slow duct. Stable stress angina, which is divided into four functional classes (FC). Angina is stable, which is further divided into functional classes from I to IV. The angina is unstable, further separating the Princely Metal angina, postinfarction, progressing and emerging for the first time. I FC - normal loads are transmitted to the patient well, whereas at a significant stress an angina attack occurs. II FC - restrictions on physical activity are observed. Pain can occur when walking 0.5 km, and it is difficult to ascend the stairs for several spans. Additionally, the risk of angina pectoris increases with the provocative factors (cold weather, emotional tension, sharp wind, activity immediately after awakening). There are difficulties during normal walking, when even when moving on a flat surface up to 500 m, the symptoms of an attack are determined. Lifting up the stairs to one floor also causes a deterioration in well-being. IV FK - An angina attack can disturb even during insignificant work at home. It is difficult to walk distance up to 100 m. The disease is often manifested in a calm condition. arise without any particular reason. Often in patients with angina pectoris there is any combination of the above clinical manifestations. 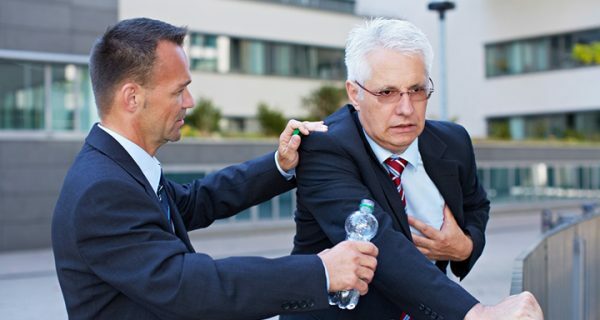 A painful attack can be supplemented by other unpleasant symptoms: shortness of breath, lack of air, irregular heart rhythm (arrhythmia), panic, cold sweat. The angina of the tension is very close to the myocardial infarction. In the case of prolonged intense pain, the appearance of fear of death and abundant perspiration, you should seek immediate medical attention. Also, in such situations, nitroglycerin does not provide the necessary action. Immediate coronary angiography, which is shown to the patient with complications (for example, persistent chest pain, hypotension, unstable arrhythmias). With stable patient condition, delayed angiography can be performed, for example, after 24-48 hours . The assessment starts with a standard ECG and sequential measurement of heart markers. This helps to distinguish unstable angina from acute myocardial infarction (MI), which can occur without elevating the ST segment (NSTEMI) or with the ST segment (STEMI). Such a distinction is the main criterion in deciding on the choice of treatment tactics. For example, fibrinolytics prove to be useful to patients with STEMI, but can be harmed by NSTEMI or unstable angina pectoris. In addition, an urgent catheterization of the heart is indicated for patients with acute STEMI, but is usually not administered under suspicion of NSTEMI or unstable angina pectoris. Depression of the ST segment. The presented indicators are also often transient to the development of myocardial infarction. Patients with suspected instable angina pectoris often detect high-sensitivity analysis of cardiac troponin (hs-cTn) immediately after the onset of an attack and after 3 hours. Cardiac markers are not elevated with unstable angina pectoris. Nevertheless, cardiac troponin, especially when measured using high-sensitivity troponin tests (hs-cTn), may be slightly increased. At the same time, there is no compliance with the criteria for myocardial infarction (above the 99th percentile of the upper control limit). Patients with unstable angina of the stress whose symptoms have been resolved are usually subjected to angiography within the first 24-48 hours after hospitalization in order to detect injuries requiring treatment. 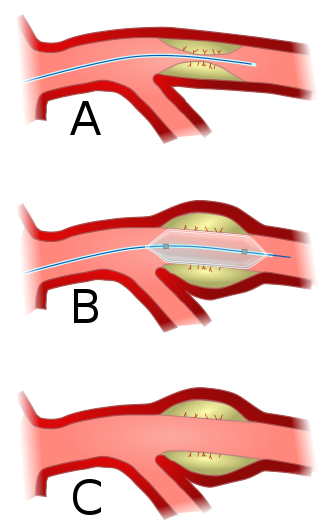 Coronary angiography most often combines a diagnosis with percutaneous coronary intervention (PCI, i.e., angioplasty or stent placement). After initial evaluation and therapy, coronary angiography can be used in patients with signs of ongoing ischemia (defined by ECG). In addition, the study is used in the presence of hemodynamic instability, recurrent ventricular tachyarrhythmias, and other pathologies that suggest relapse of ischemic events. 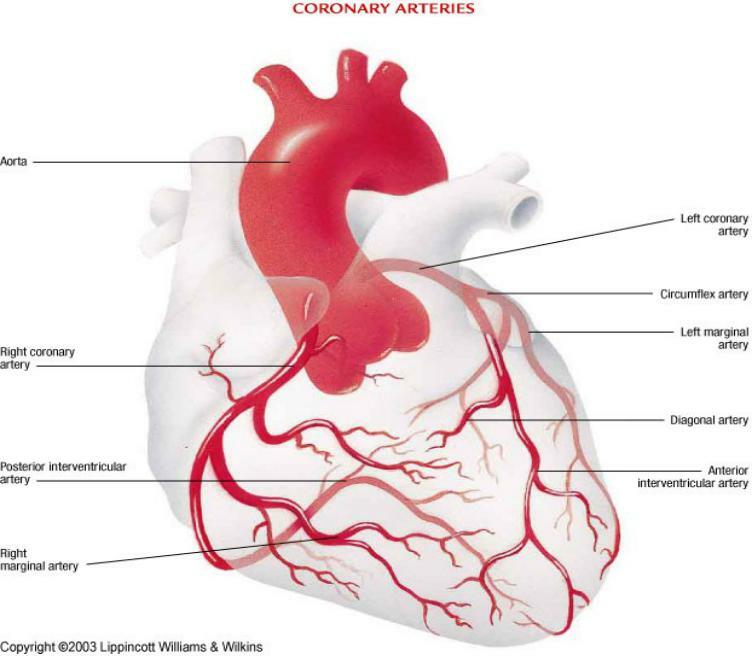 How coronary arteries are affected? What arteries are stenotic or obliterated? How much blood vessels are struck / blocked? For example, the proximal left coronary artery stenosis or its analog (proximal left artery and peripheral artery stenosis) have a less favorable prognosis than distal stenosis or stenosis of a small arterial branch. In general, about 30% of patients with unstable angina tend to have myocardial infarction for 3 months from the onset of the disease . Sudden death occurs in this group of patients less frequently. The marked ECG changes in breast pain indicate a higher risk of subsequent myocardial infarction or sudden death. Confirmation of diagnosis using ECG and angiography. Post-rehabilitation and long-term medical treatment of coronary heart disease. Reperfusion is the restoration of blood flow to the organ or parts of the tissue after blockage of the vessel. 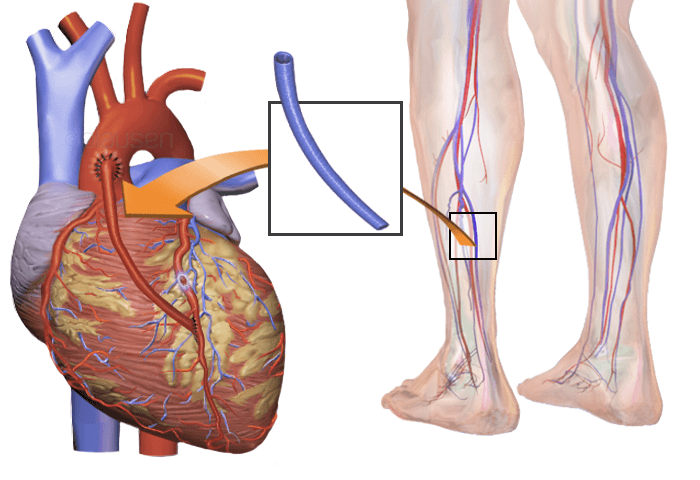 A similar concept may be related to reperfusion injury and reperfusion therapy. Provide oxygen access to the patient. Writing to take aspirin or nitrate-containing medicine (nitroglycerin, nitronong forte). If you keep the pain on the background of a two-dose medication with a break of 10 minutes, you should contact a doctor or call an ambulance. Hospital interventions of the medical staff (including ECG control, taking aspirin or nitroglycerin) can reduce the risk of mortality and complications. Early diagnosis and response to treatment often help to determine the need and timing of revascularization. Assessment of the patient's risk and time reperfusion strategy selection. Upon arrival at the emergency department, the diagnosis of the patient is confirmed by instrumental research methods.Drug therapy and the timing of revascularization depend on the clinical picture. An urgent angiography with revascularization is indicated in the determination of a clinically unstable illness, for example, in the presence of persistent symptoms, hypotension or persistent arrhythmias. In a clinically stable condition, angiography with revascularization can be postponed for 24-48 hours. In most cases, therapy begins with anti-aggregators, anticoagulants, and in the presence of chest pain - antianginal drugs. The choice of drugs used depends on the reperfusion strategy and other factors. Other medications such as beta-blockers, ACE inhibitors and statins may start to be used in the course of ongoing therapy. 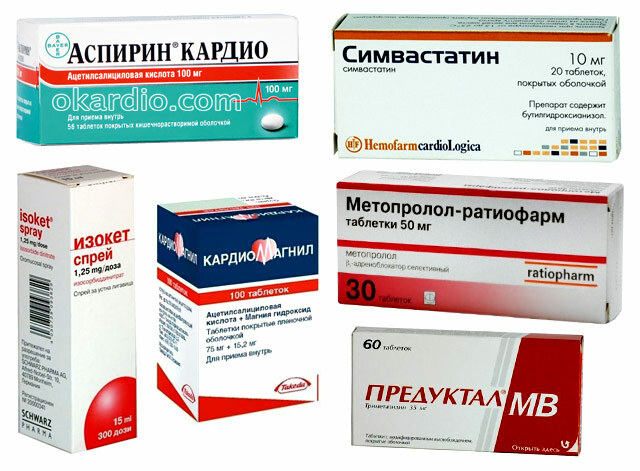 Antiplatelet agents: aspirin, clopidogrel, or both (prazogrel or tacagrelor are an alternative to clopidogrel). Anticoagulants : heparin (unfractionated or low molecular weight heparin) or bivalirudin. Glycoprotein IIb / IIIa inhibitor , if there is evidence or if there is a high risk. 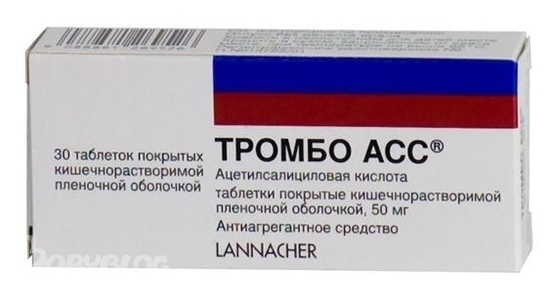 Antianginal therapy , expressed in the administration of nitroglycerin in pills or other nitrate-containing drugs in the form of a spray. First of all, aspirin is used from 160 to 325 mg (without enteric coating ), if there are no contraindications.Subsequently, for an indefinite period of time, take 81 mg once daily. Chewing the first dose before swallowing speeds up suction. The use of aspirin reduces the risk of mortality, both immediately after an attack, and in a remote time. Low molecular weight heparin (LMG), non- fractionated heparin, or bivalirudin are commonly used in unstable angina pectoris if there is no contraindication. In particular, with active bleeding, preparations from this group are not recommended. The non-fractionated heparin is more complex in use, since it requires frequent (approximately every 6 hours) dose adjustments to achieve target values. LMG has the best bioavailability, the dosage is not so complicated, because it is based on weight, in addition there is no need for titration of the dose. In addition, a lower risk of heparin induced thrombocytopenia is determined. Bivalirudin is recommended for patients with known or supposed history of heparin-induced thrombocytopenia. The glycoprotein IIb / IIIa inhibitor is most often prescribed to patients with a high risk of recurrent ischemia, dynamic ECG changes, or hemodynamic instability. Abciximab, tirofiban and eptifibatide have an equivalent efficacy, therefore the choice of the drug depends on other factors such as cost, availability, acquaintance, etc. 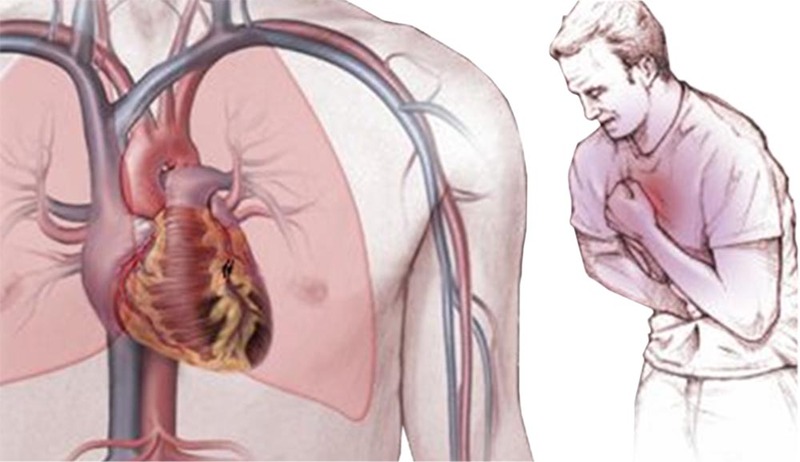 Chest pain can be treated with nitroglycerin , and in extreme cases, morphine . Nitroglycerin is preferable to morphine, which should be used according to certain rules. For example, if the patient has contraindications to nitroglycerin or if he or she has to experience pain, despite the treatment with nitrate-containing drugs, then morphine is used. Nitroglycerin is initially put under the tongue (sublingual method of administration), and then, if necessary, is administered continuously intravenously. Morphine, administered intravenously, is used every 15 minutes as needed. It is very effective, but it can suppress breathing, reduce myocardial contractility and lead to pronounced venous vasodilation. Some data also indicate that morphine interacts with some P2Y12 receptor inhibitors. Additionally, information suggests that morphine may increase mortality in a group of patients with acute myocardial infarction. Hypotension and bradycardia can also occur again with the use of morphine, but these complications can usually be overcome by the rapid elevation of the lower extremities. The standard appointment list for all patients with unstable angina is mainly containing beta-blockers, ACE inhibitors, statins. Beta-blockers are recommended for high-risk patients, but only if there are no contraindications (eg, bradycardia, heart block, hypotension, or bronchial asthma). Beta-blockers reduce heart rate, arterial pressure and contractility, thereby reducing heart load and oxygen demand. ACE inhibitors can provide long cardioprotection by improving the function of the endothelium. If the ACE inhibitor is not tolerated due to cough or rash (but not angioedema or renal dysfunction), the angiotensin II receptor blocker is replaced by the drug from another group. Statins are also standard therapy regardless of the level of lipids, so they should be taken for a long time. Fibrinolytic drugs that may be useful in patients with ST elevation myocardial infarction (STEMI) do not benefit in the case of unstable angina pectoris. Angiography usually takes place within 24-48 hours after admission to the hospital, especially if the patient has a stable condition. The study is performed with an unstable course of the disease, for example, in case of persistent symptoms, hypotension, stable arrhythmias, etc. Angiographic data help determine which reperfusion method is best suited. It is important to change the way of life. In particular, regular exercise, diet change, weight loss, smoking cessation have a positive effect on the state of stressed stenocardia. 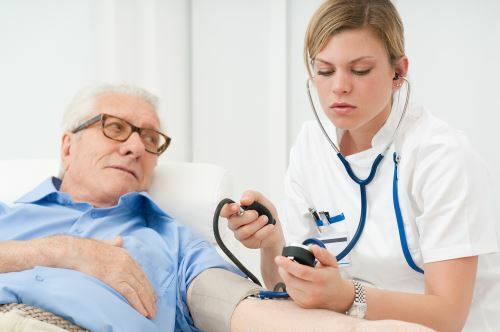 According to the medical recommendations after treatment in the hospital, it is often necessary to continue to take antiplatelet agents, beta-blockers, ACE inhibitors and statins. Больным, которым не проводилась коронарная ангиография при поступлении обычно должны проходить стресс-тестирование до или вскоре после выписки. Единственно, не должны определяться признаки высокого риска (например, сердечная недостаточность, рецидивирующая стенокардия, желудочковая тахикардия или фибрилляция желудочков через 24 часа, а также механические осложнения, такие как новые шумы, шок). Также должна определяться фракция выброса более 40%. The acute course of the illness and the treatment of unstable angina pectoris should be used to motivate the patient to change the risk factors. Regular evaluation of the physical and emotional state of the patient, if necessary, should be consulted on the way of life (for example, refusal of smoking, organization of a diet, habits concerning work and occupations, physical exercises, etc.). Additionally aggressive risk management can improve predictive judgment. An unstable angina of stress is a new or deteriorating angina of rest in patients whose heart biomarkers do not meet the criteria for myocardial infarction. 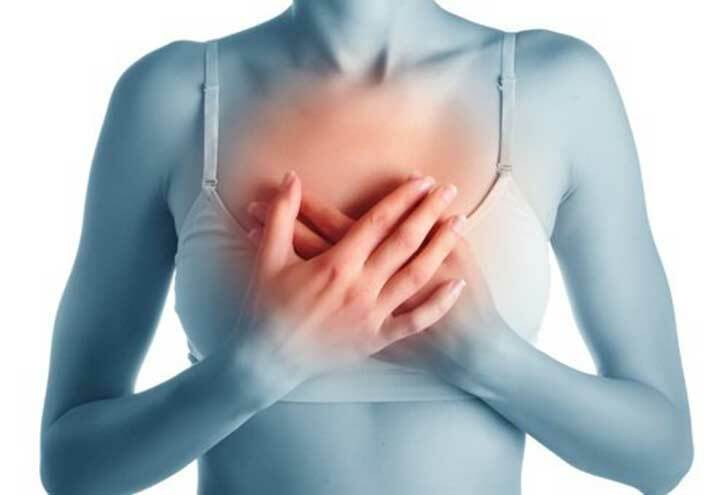 Symptoms of unstable angina pectoris include new or increasing chest pains or discomfort behind the sternum, arising at rest. The diagnosis of stress angina is based on the recording of an ECG and the identification of heart markers. Immediate treatment for angina pectoris involves the use of oxygen, antianginal drugs, anti-aggregators and anticoagulants. Patients with ongoing symptoms, hypotension, or stable arrhythmia necessarily undergo immediate angiography. In stable cases, angiography is performed within 24-48 hours after hospitalization and diagnosis. 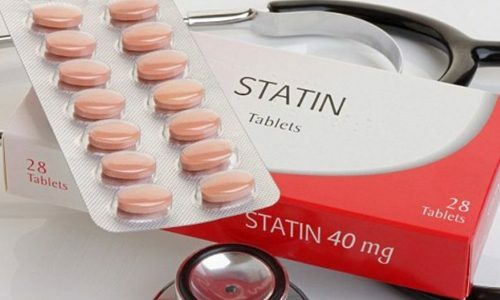 After improving the condition, it is important to start or continue to take antiplatelet agents, beta-blockers, ACE inhibitors and statins, as well as those drugs that relate to the underlying disease other than angina pectoris.